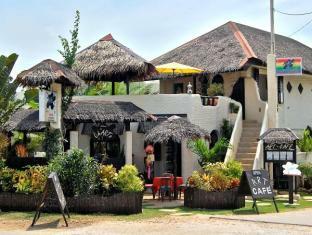 The Hayahay Resort is located in Bohol making it one of the best hotels to stay at while in town. The Hayahay Resort features a wide range of modern facilities and services in its 11 well-appointed guestrooms and throughout the premises. All of the guestrooms are replete with non smoking rooms, air conditioning, desk, in room safe, shower, mini bar, satellite/cable TV, complimentary bottled water. Guests staying at this Bohol accommodation can enjoy a wide range of hotel facilities such as coffee shop, bar/pub, restaurant, room service, safety deposit boxes, hotel/airport transfer, tours, Wi-Fi in public areas. For a more enjoyable stay, guests can take advantage of a variety of recreational facilities, including massage, water sports (non-motorized). The Hayahay Resort creates a balance of rich culture and modern convinience to ensure you a memorable stay. To make your reservation at the Hayahay Resort via our secure online reservation form, please submit your visit dates.